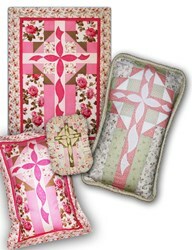 Risen - Glory Piped Pillow Kit has not been rated yet. With this item you will earn 140.25 Points in Homespun Rewards! As Easter approaches, come share His praise with this new design by Donna Lannes Designs. 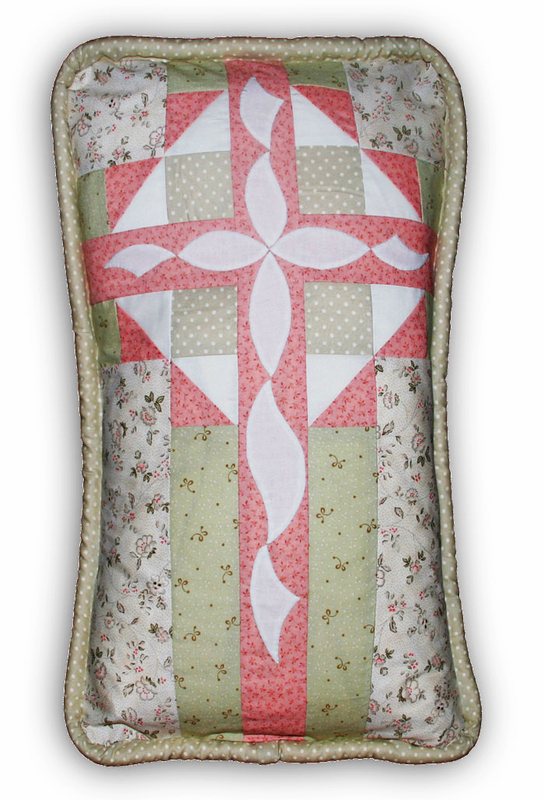 The design called "Risen" features a beautiful Ribbon entwining a cross. 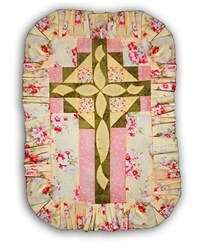 This version, called "Glory" measures 20" x 28" and has a 1/2" piping around the outer border. The easy applique can be stitched or fused in place - your choice. These make beautiful wedding or confirmation gifts, a great gift for a bible-study partner or group, and your home decor. The kit features all of the Lecein Fabrics required to complete Glory as shown, including backing fabric and piping. You will only need thread and stuffing. The pattern for the entire Risen Ensemble (includes Rejoice, Glory and Radiance) will be available for immediate download upon completion of your order. Make sure you have the most updated version of Adobe Reader (for the pattern download). Go to this link, and download the free version.